The late Floyd A. Walker (FICC#14) in his article, The First Issues of the Middle East Countries  writes, "LIBYA is more complicated [than the previous entries, Jordan, Kuwait and Lebanon]. 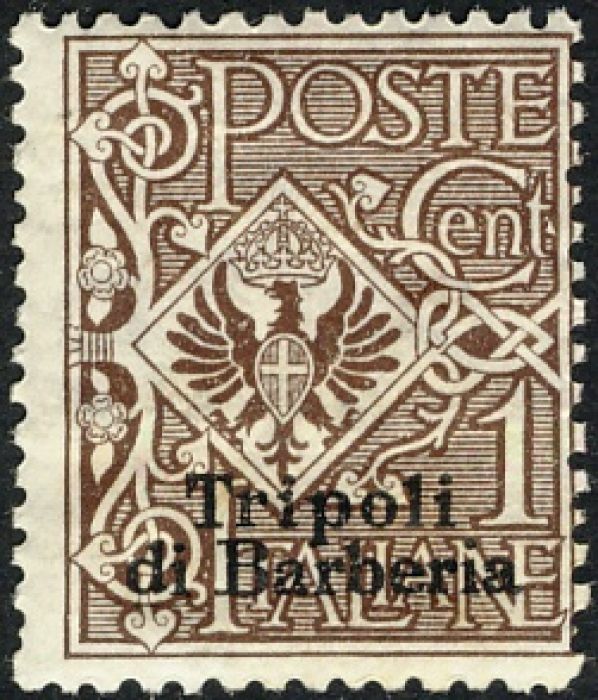 There's the Italian Colony of Libya (#1), plus the various French occupation issues of Fezzan and Ghadames, the Italian offices in Tripoli and Benghazi, the independence issue (#102) and the issue marking the Libyan Arab Republic (#366). 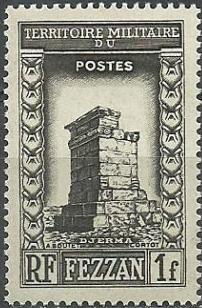 All together you will need a dozen stamps to cover that bit of Middle East real estate." Gibbons  lists Libya in its Africa Since Independence sequence which is guiding the organisation of the FICC Categories, hence the switch from the Middle East to Africa. 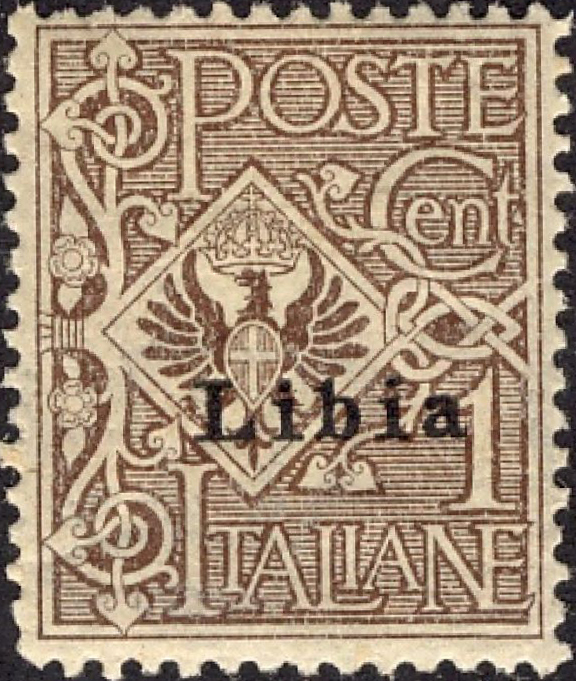 Gibbons original listing for the area under Italy  begins in 1901 with an Italian Post Offices numbered SG169 and SG171 because it follows on from Italian POs in the Turkish Empire (SG1-168), but it starts again at SG1 for the Italian colony (Scott lists the Offices under Italy). 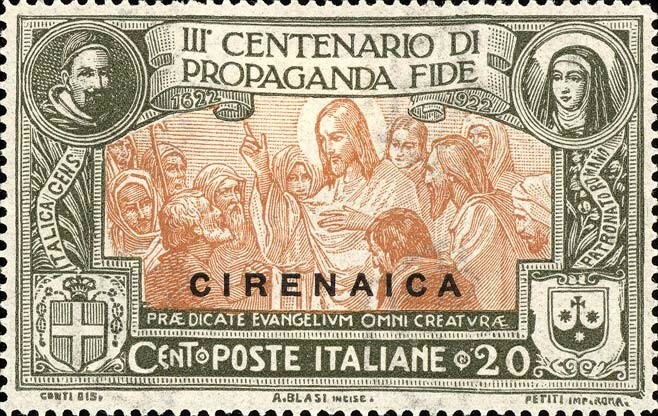 † Scott  and the FICC catalogue entry begins in 1912 with overprints of Italian stamps for the colony, though the Sc1 was issued in December 1915, making the earliest issue Sc2, SG2. The area now known as Libya was under Turkish control from C16th. 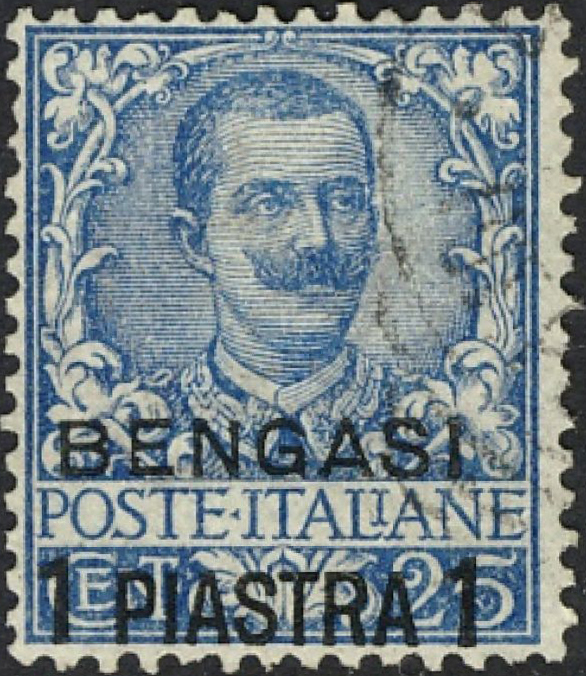 Italy declared war on Turkey in September 1911 and took the coastal town of Tripoli, which Turkey ceded a year later as it was distracted by the Balkan War. 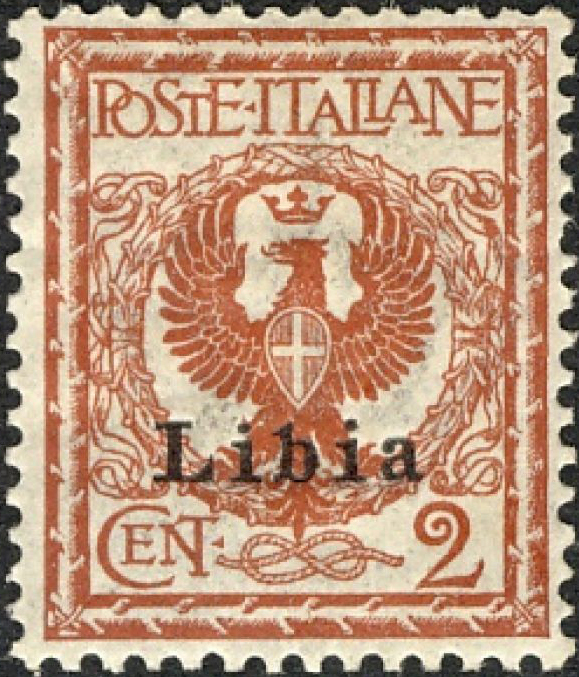 Italy named it Libya, spelled "Libia", and spent the next twenty years taking the interior. 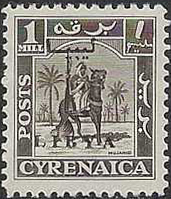 In June 1927, Libya was divided into two, Cyrenaica and Tripolitania and in December 1934 they were reunited. Libya became a kingdom in December 1951. 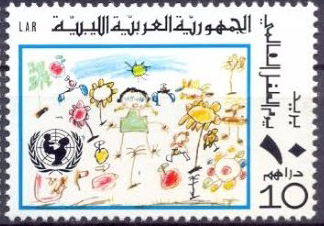 The Libyan Arab Republic was established in September 1969 and its name prefixed by “People’s Socialist.” in 1977. 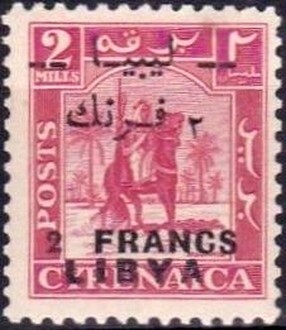 From 1943 and after WW2 until 1951, most of Libya was under British Military Administration and used stamps overprinted "M.E.F. ", Middle East Forces. 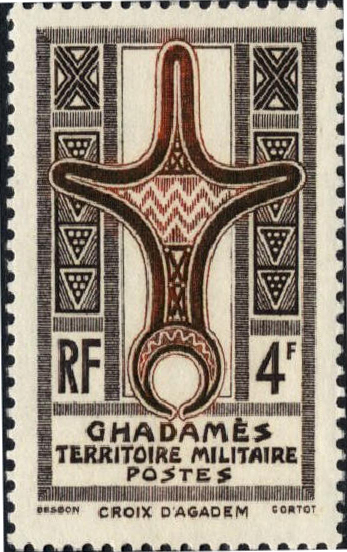 Note that several versions of these exist, overprinted in London and in Cairo with small differences in the type: Gibbons describes the SG-M1 as 14mm long with oblong stops. Variants can be 13.5mm long with square or round stops. 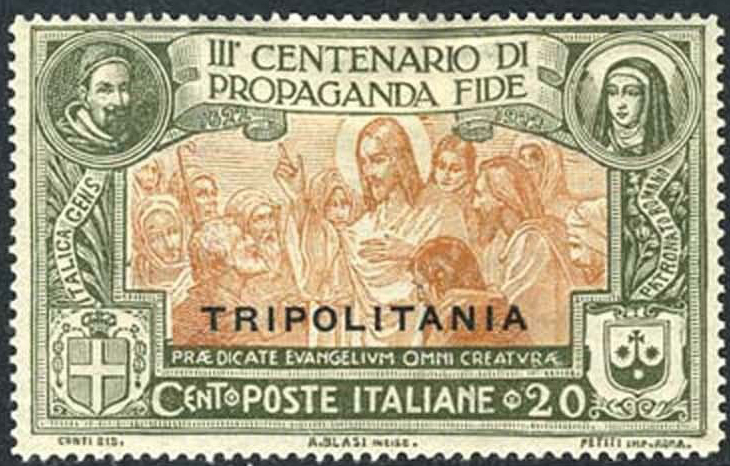 There were also specific issues for Tripolitania denominated in Military Administration lire (M.A.L.). 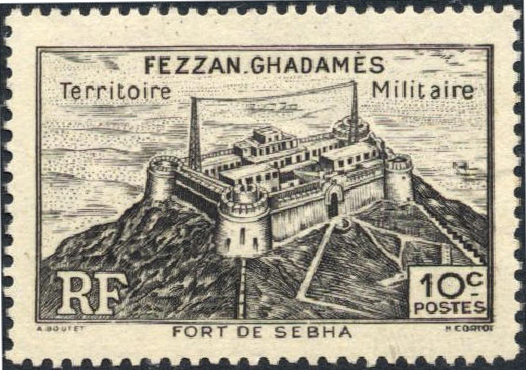 France also occupied the areas of Fezzan and Ghadames and stamps were issued individually and collectively. Previously an Italian colony, following occupation by British troops during and after WW2, Libya became a kingdom in December 1951. 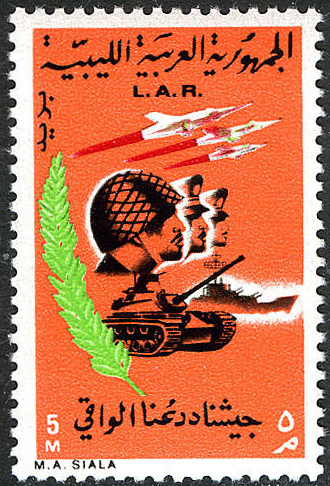 The Libyan Arab Republic was established in September 1969, King Idris being deposed by army officers. 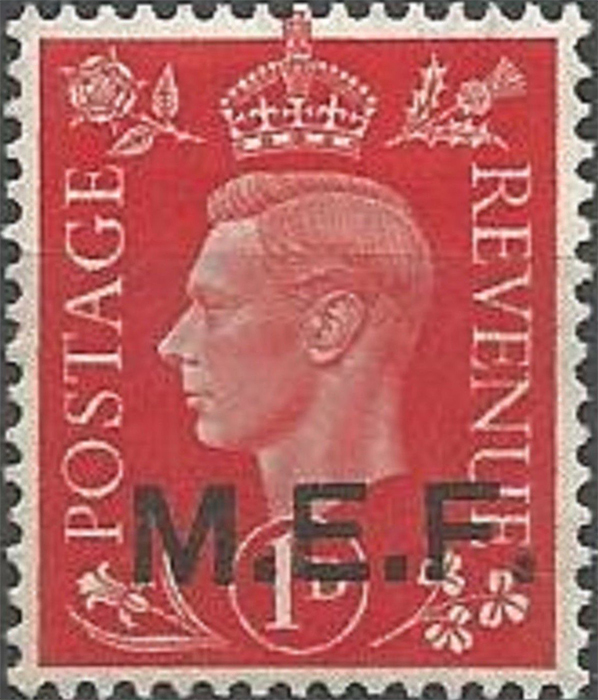 In addition to the new revolutionary issues, both Scott and Gibbons note that existing stocks of stamps were used with the word "Kingdom" obliterated by crayon and felt-tip. 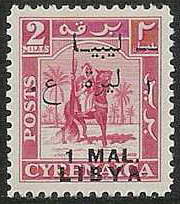 Scott states The name was prefixed by “People’s Socialist.” in 1977: Gibbons refers to the new designation as "Socialist People's Libyan Arab Jamahiriya". Sources: ScS , SGP1 , SGP8 , SGP13 , Journal v10n4pp9-11 . Image from David Olson, colnect, Delcampe, ebay.